Home / Emotional Intelligence / How Do You Coach for Emotional Intelligence? by Key Step Media March 13, 2018 Time to read: 2 min. Emotional Intelligence, the ability to tune in to our feelings and those of others, and to effectively manage emotions in ourselves and our relationships, is key to high performance and outstanding leadership. As it is often difficult to recognize our own weaknesses, and to take steps for lasting change, the guidance of a coach can make a fundamental difference in improving Emotional Intelligence competencies. By harnessing the energy of a client’s passions, a coach can develop practical applications for achieving specific goals and aspirations. A coach is also in a unique position to notice patterns in a client’s behavior, and can share these perceptions in a thoughtful and non-judgmental way, enabling the client to become more self-aware and to “unstick” unproductive habits. Becoming a coach begins with fully understanding Emotional and Social Intelligence (ESI). 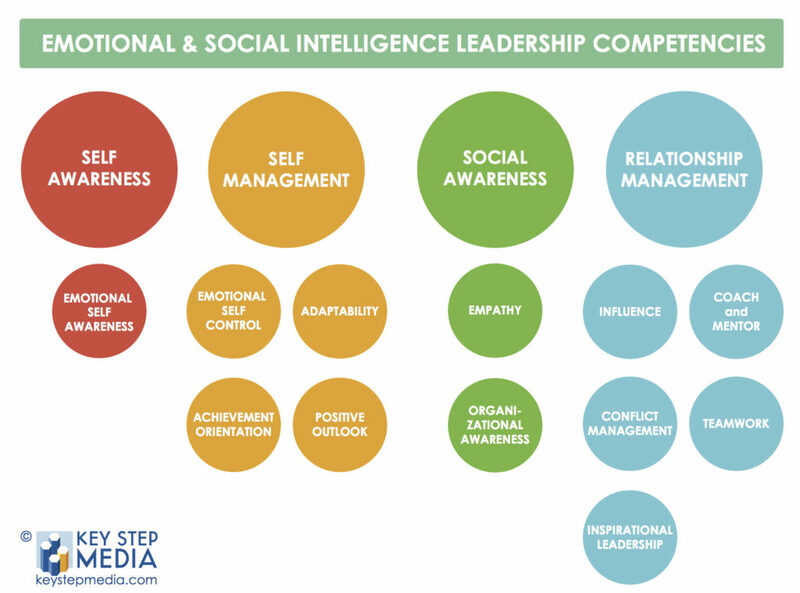 The twelve Emotional and Social Intelligence Leadership Competencies, developed by Daniel Goleman and Richard Boyatzis, are derived from an evidence-based structure. After analyzing the competency models of nearly 100 organizations, they distilled the fundamental competencies that distinguish outstanding leaders. This framework is essential to enhancing your own knowledge, as well as coaching clients in ESI. Keep in mind that these competencies are never fully achieved or mastered, rather they are a part of your overall Emotional Intelligence profile, which fluctuates based on circumstances and how much attention you provide to developing various skill sets. A great coach fosters a safe and confidential environment for clients. They bring a clear point of view, offering guidance while being flexible and responsive to the needs of each individual person. They are kind, calm, direct, and respectful. They have impeccable listening skills and perceive patterns in a client’s behaviors that they articulate in a way that helps the client address them with positive intention. A great coach helps clients discover/rediscover their passions and values, and channels these in practical applications. Under the guidance of a great coach, a client realizes the impact of their habits and learns how to spot and break unproductive patterns. Long after formal coaching is complete, the client of a great coach will be able to find and channel their own inner coach. As with any skill, becoming a great coach requires practice. Coaching clients, reflecting on your progress and effectiveness, and receiving feedback from a Meta-Coach are the most valuable ways to practice coaching for Emotional Intelligence. In our Emotional Intelligence Coaching Certification, students coach clients through two 12-week blocks of the Emotional Intelligence Training Program: Foundational Skills and Relationship Skills. During this time, a Meta-Coach will be available to provide guidance and observe some coaching sessions. In this way, student coaches will have the benefit of an outside perspective on areas that need improvement, fully preparing them to pass their certification exam and coach clients for lasting and effective development of ESI. Take a moment to consider which of the above is most prudent for you to explore. Expanding your personal understanding of the full suite of Emotional Intelligence competencies. Developing your interpersonal capacity as a coach. Gaining the training, experience, and practical application of these skills so that you can make a bigger positive impact with others. 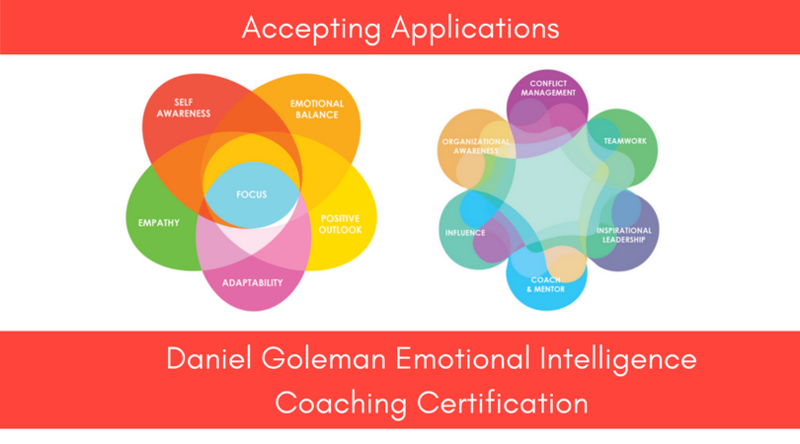 Enrollment is now open for the Daniel Goleman Emotional Intelligence Coaching Certification. The majority of the certification will take place online, with two short residences in which participants and Meta-Coaches can get to know each other and practice coaching techniques and approaches.